Prey for Nothing are currently the best melodic death metal band in recent years you’ve never heard of. Their relative obscurity is unfortunate and the reasons hard to imagine; maybe they’re simply the victim of the tidal wave of music that circulates the internet, or maybe it’s their location (Israel), from which very few bands have made a name for themselves outside the country. All I know is, this band, while relatively young, have not gotten their just due. Their last record, Against All Good and Evil (2011), was a stunning sophomore effort and one of the best albums of its year. 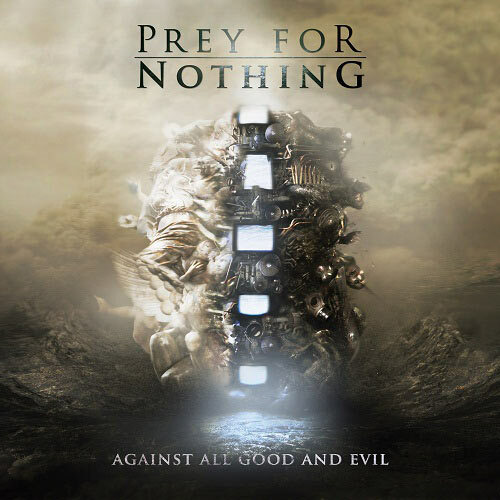 So who are Prey for Nothing? Basically, think of an amalgamation of sounds that borrow from schools of thought ranging from Death, to Kreator, to Insomnium, and beyond. 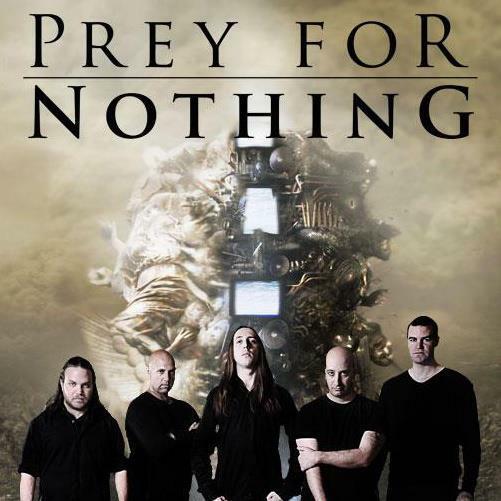 While definitely melodic death, Prey For Nothing would verge on simply being progressive death metal were it not for some of the more pedal-point riffy moments and harmony/theme heavy guitar sections that are typically not native to death metal. They are excellent songwriters, more progressively inclined than most, but only to spice things up and keep them interesting and not so much to show off how good they are. The same goes on the technique front, as all of these guys are immensely talented at their craft, particularly guitarist/main composer Yaniv Aboudy, whose biting character of riffage is exceptionally complemented by his neo-classical flourishes and ferocious napalm spray tech displays. The music is venomous, dignified, enigmatic and soul-reaping. I was going to write reviews for both of their albums, but ultimately decided that the music simply needs to speak for itself. I’m honored that the band have allowed me to post both of their albums thus far — Violence Divine (2008) and Against All Good and Evil — for free download indefinitely (at least for the moment), and I certainly hope this will encourage you all to give these guys your money. They deserve it. I could sit here and write thousands of words about the music, particularly Against All Good and Evil, which is simply an epic melodic prog-death masterpiece, but I want you all to simply take it in. Downloads below, as well as YouTube embeds to give you an idea of what you are getting yourselves into. The band’s Facebook page is here. They’re now at work on the third album. Thanks for the download link! Sounds promising. Definitely is best metal band in Israel. Watched the first video and was impressed that it mainly avoids the done-to-death Gothenberg style of melodic death (just a riff here and there). So I’ve listened to both albums and Against All Good and Evil is definitely the standout of the two, but it is too damn long. 65 minutes is a long time for an album to try and hold my interest and I start wavering sometime around track 9 (“Turning Shears to Swords”). Isn’t “more good songs” a good thing most of the time ? I get that the album feels too long, but why listen to it all at once ? 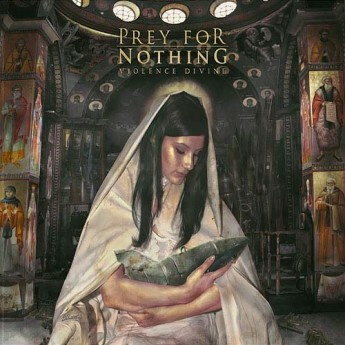 And I liked “Violence Divine” better. More melodic and more my taste, reminds me of In Flames in their golden age of “The Jester Race” and “Whoracle”.